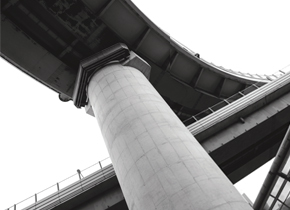 Infrastructure, with an emphasis on mobility, is one of the important factors on which the growth of a nation has come to be measured. The biggest challenges to mobility in India have been the unplanned development, land acquisition and of course, finance. However, the scenario has now changed. The ministers for Road Transport & Highways and Shipping, Urban Development and Railways have the facts and figures on their fingertips on the initiatives taken by the government in the last three years. Vidyottama Sharma writes. In 2016, India stood in the 35th position from a list of 160 countries in the World Bank’s Logistics Performance Index (LPI). In 2016-17, 6,604km of national highways were constructed against a target of 15,000km. The Ministry for Road Transport & Highways (MoRTH) has, so far, invested over Rs 3 trillion and it is reported that the Ministry for Shipping has invested Rs 80,000 crore. 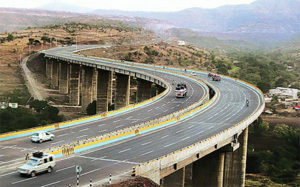 Minister for MoRTH, Nitin Gadkari has said the government will invest Rs 25 trillion in infrastructure in three years. Out of this, 8 trillion will be used to develop 27 industrial clusters and roads. Ports & Railways will get 5 trillion. Infrastructure projects have been close to Prime Minister Narendra Modi’s heart and he has personally been reviewing them. He has been keen to push into work mode the projects that have been delayed over the last two years. In April this year, he assessed the performance on infrastructure projects at a high level meeting attended by top officials of NITI Ayog, and all the infrastructure ministries, and of course, the top officials of the Prime Minister’s Office (PMO). Going by various reports, the PM was clear on one front: the ongoing projects had to be completed within the time limits given to them. So what did Narendra Modi tell the assembled heads of various sectors? Well, one of the instructions was on technology. NITI Ayog was asked to scrutinize the global standards when it came to applying technology in the creation of infrastructure. Keen that road construction in India should use and benefit from newer technologies, he also asked the Ayog to see which technologies were feasible to be implemented in India. He wanted the construction of rural roads to be done efficiently and emphasized on the quality being monitored. He wanted the crucial links to be constructed at the earliest so that unconnected areas could get connected soon. The government also insisted on the use of the ‘Meri Sadak’ App. While reviewing various roads and railway projects, the Prime minister emphasized on accelerating the work on redevelopment of railway stations. When it came to ports, he wanted the turnaround time of ships and clearing of cargo to be bettered. In the wake of this meeting, it is important to see what all has been done so far. With 130km a day of roads reported to have been constructed under the Pradhan Mantri Gram Sadak Yojna (PMGSY) in 2016- 17, about 47,400km of roads have been added to the existing ones. In the four and six lane highways, about 26,000km have been added recently. And in the Railways, 953km of lines were laid last year while the target was only 400km! Not only that, about 34,000 bio-toilets were added and 115 railway stations got Wi-Fi access. Many new projects have been approved or kick started in the last three years. Bharatmala Pariyojana (For Highways): This is the one of the most ambitious projects of the Modi government to improve road connectivity. It is said to be the umbrella projects for roads under which roads will be connected to border areas, coastal zones backward areas, religious places and even tourist destinations. The project also envisages building, widening and rehabilitation of nearly 200 Railway Over Bridges, Railway Under Bridges and about 1500 major bridges on the National Highways. In May this year Gadkari said that this project will replace all the existing highway projects in the next six months soon. The first phase highlights construction of 20,000km of highways. This project, in which connectivity to rural areas is given high importance, is the second huge project when it comes to highways. The first was NHDP of the Atal Behari Vajpayee government, under which 50,000km of highways was constructed, which will come to an end with Bharatmala taking over. It also included the famous Golden Quadrilateral that was to connect the four metropolitan cities and Srinagar with Kanyakumari under the North-South Corridor and Silchar with Porbandar under East-West Corridor. Gadkari had said that the project cost would be over Rs 90,000cr. Forty four economic corridors have been identified by AT Kearney that was appointed by MoRTH. Along with 21,000km of economic corridor, 14,000km of feeder routes too will be developed. In 2016, India ranked 35th out of 160 countries in the World Bank’s Logistics Performance, jumping 19 places.